I wanted to continue our rolling discussion on real estate and mobility within the home by considering town homes and condos as options for folks looking to downsize in part due to mobility concerns that often come with age. Now, townhomes are an interesting option for people looking to sell a single family home but still in need of a reasonable amount of space. One thing that I would note is that many townhome communities have a real mixture of housing stock within them so you will have to look carefully to find homes that have useful mobility features. And what do I mean by that? Well I am thinking specifically of townhomes with main level bedrooms/ bathrooms/ master bedrooms and town homes that allow access to that main level while climbing very few or no stairs. Another option (and one that is becoming increasingly popular) is to buy a townhome that has an internal elevator so that you have access to the whole property without going up and down stairs. Condo’s are of course another option – more often than not they are on one level (within the unit) and there is an elevator providing access to the unit itself. A mobility consideration for condos may be to look at access to the building itself – are there stairs? A ramp? 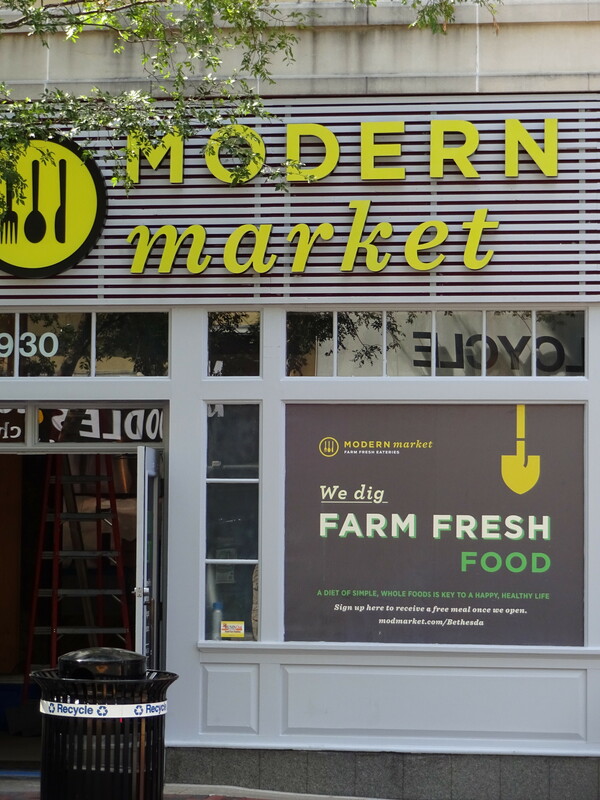 That is all for now – I will have more thoughts on real estate as we age next week. As I mentioned yesterday, I am going to spend some time in the coming weeks looking at some of the questions that arise when people in our community begin to think about their changing real estate needs as they age. Today I wanted to touch on the subject of “mobility within the home.” Many of my real estate clients begin our conversations with this point. More often than not, they are currently mobile but concerned about the structure of their house and its practicality as they age. One client recently pointed out to me that while he and his wife were both fit and loved their town home, he is increasingly aware that their home has 4 sets of stairs (internal and external) and would be really challenging if they had a hip/knee issue in the years to come. For many individuals who fall into this category, they are not ready to consider senior living facilities but are open to downsizing in a smart way. So what should they be considering? If they are still keen to live in a single family home some of the key considerations probably should be around the location of the bedrooms/ bathrooms and accessibility into and within the home. A main level bedroom (preferably a master) and a main level bathroom should be considered. Another consideration is access to the front door of the house – can this be done without going up and down stairs? Is there an attached garage and does it come in on the same level as a bedroom? Does the house allow the fitting of certain mobility tools (chair elevator/ internal house elevator/ internal doors that allow wheel chair access)? If the single family house is desirable, is there a way to live on one level as you get older and perhaps leave the other level or levels for when guests come? I have seen some nice ramblers in Bethesda recently that fit this model very well. Does the house have dual systems so that you can just heat or cool the part of the house you are using in years to come? Now there is much more to discuss when it comes to mobility/ single family homes (and I am happy to do so anytime) but for now I am going to sign off. We will continue to look at mobility tomorrow but turn our attention to town homes and condos. 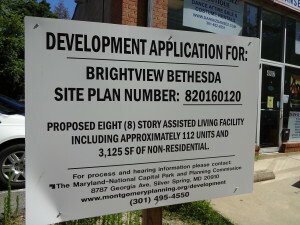 I will be heading to an information update session at Montgomery Row in Bethesda tomorrow. Will be sure to report back with my thoughts on this new Town Home Community. 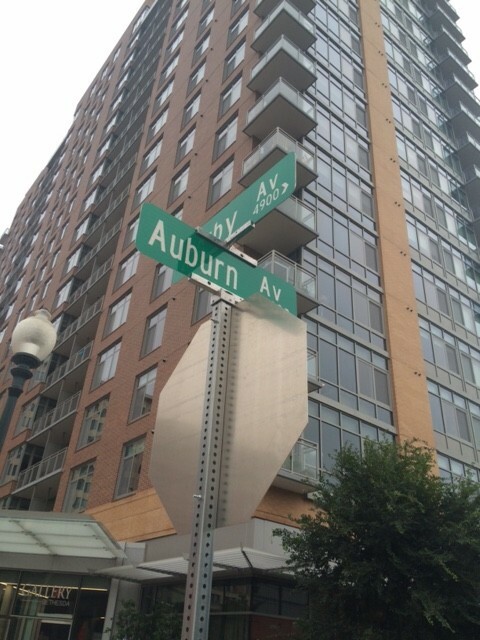 The town home are priced from the 800s and there is a free shuttle to the metro as well as good access to 495 and 270. The developer EYA has a good reputation. Will see what updates they have and let you know! 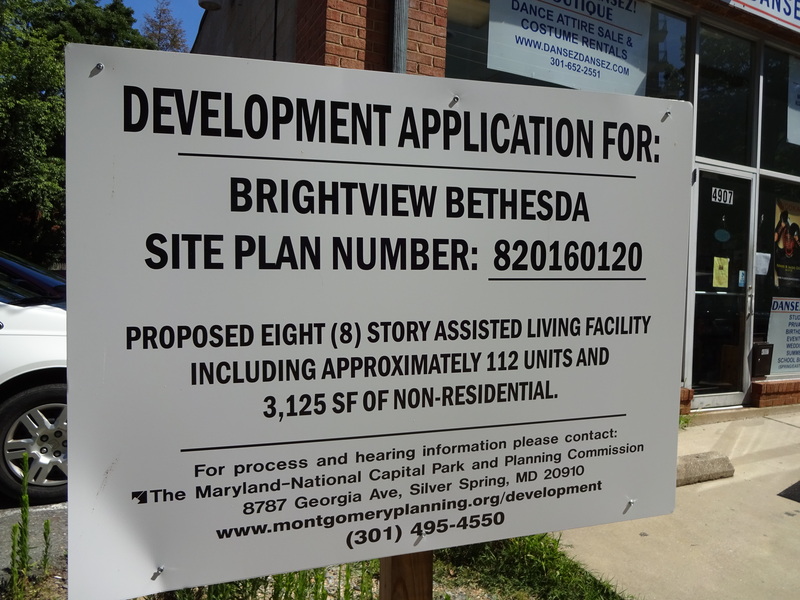 The demographic data is clear – the United States is aging and Bethesda’s population is certainly tracking that national trend. As we, as a society, look to address the changing needs of an aging populace, real estate will play a key component in our thinking and decision making. As a real estate professional I am having conversations about aging and real estate constantly with clients. For some the challenges surround selling a home that is too large or unwieldy to live in and maintain while for others it is trying to work out whether there next home is their final home or a bridge to assisted living. These are important discussions and each has a fair share of built in questions to consider. In the coming weeks I will be raising some of these questions and making a few suggestions that might be useful. 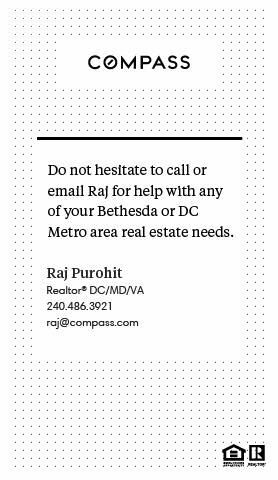 I really encourage you to email me questions/ or topics you want me to address at raj@rajabout.com – we can’t cover all the details on every topic in a blog format but hopefully this will be a good start. I am also hoping we can bring in the view points of non-real estate experts who can contribute to this discussion. Picture of a Soon to be built retirement facility adjacent to Battery Park. Many in Bethesda are trying to work out their real estate moves prior to entering a retirement facility. I try to assist with that. 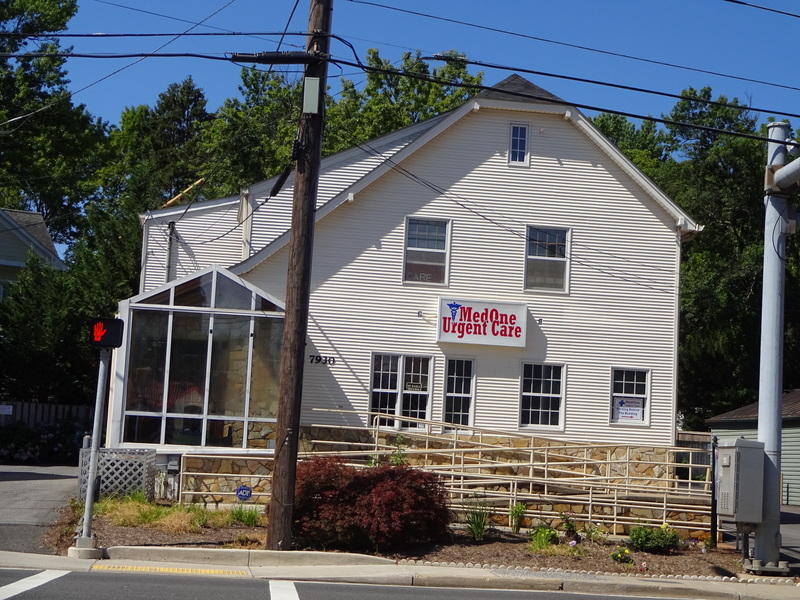 Now this review is long over due – my family have had cause to visit the urgent care on Old Georgetown road on a couple of occasions in the last year and just wanted to take a moment to say what a reassuring experience we had on each occasion. Eric (the doc and owner of this branch – full disclosure I assisted him a few years ago in finding the space) – was kind, thoughtful and methodical in his approach. In one instance he suggested we follow up with a specialist and in another he was able to take care of things 100%. I really appreciated his efforts and wanted to let the community know about our experience. Obviously medical matters are the most important issue any of us have to deal with and with all emergencies you should contact 911 but for our two situations (which fell short of an emergency) Eric was a real asset. 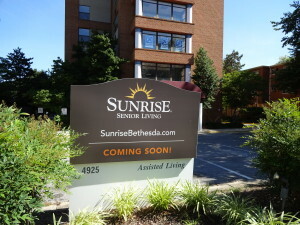 Just wanted to follow up on yesterday’s post and note that a 60 second walk from the site of the proposed retirement home Brightwood Bethesda (in the Tough Temple Cross fit space) is a project that sees Sunrise Senior Living looking to revamp the building that was once Springhouse Bethesda/ Manor care assisted living. 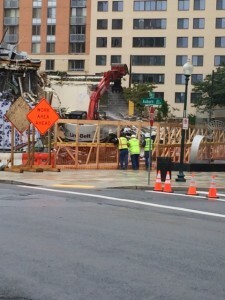 It has been fascinating to see the way our aging population is impacting life in Bethesda. From high end services targeting the retiree demographic to home care service springing up, change is all around. We are also seeing a few new players joining the retirement home business and new/ revamped homes springing up close to the down town area. Here at Bethesda Actually we are going to try and do a better job of show casing the services, challenges and opportunities in this space. 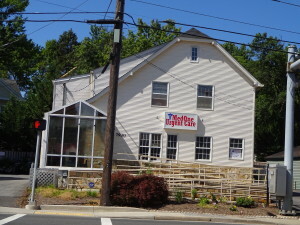 To start with we just wanted to note that a new retirement home is slated to fill the space currently being occupied by Tough Temple Cross fit and a dance studio just behind the Battery Garden Apt. complex. 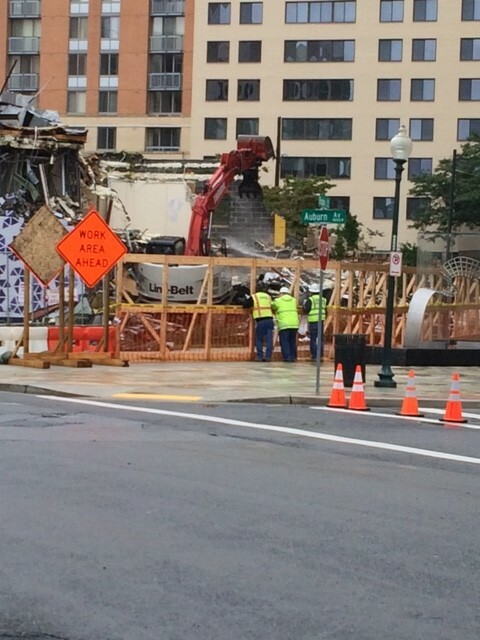 TD Bank Growth in Bethesda! 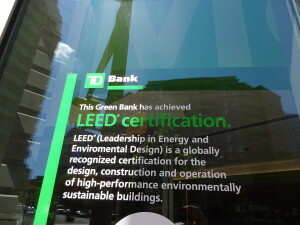 It has been interesting to see the growth of TD Bank in Bethesda and the surrounding area. At a time when many banks are closing down branches or limiting their hours, it makes a nice change to see a bank opening new offices and increasing their hours of operation. 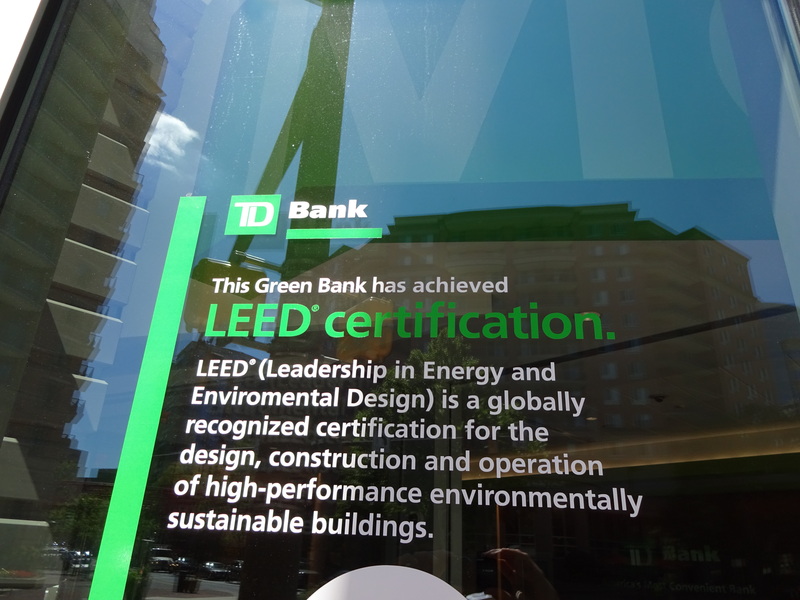 We have been wondering what TD Bank is seeing that their competitors are not – is this a recognition that there is a market for face to face banking? Hopefully. Is this a smart play at a time when money is cheap and real estate acquisition opportunities are available? Possibly.